natural deposits in Germany. 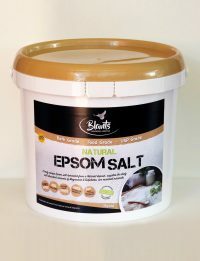 These salts are produced to a very high quality specification, with a simple, efficient production method designed to bring you the purest Epsom Salt, with minimal interference from man and machinery. 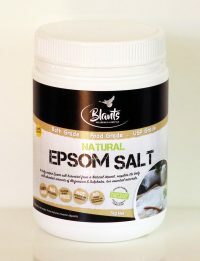 Soak in a bath of Epsom Salt and feel the tension evaporate – a relaxing ‘me-time’ end to a busy day, and part of a welcoming bed time routine. Add 1 – 2 cups to a warm bath, lie back and relax for 20 – 30 minutes. 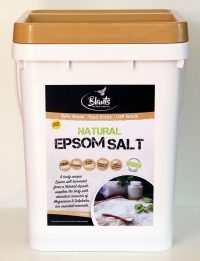 The quantity of salt and frequency of baths varies according to the size of your bath, and on your personal preference. You can even use it in the shower, as a body scrub. If you block the drain with a facecloth, your feet absorb the magnesium sulphate from the water in the bottom of the shower. 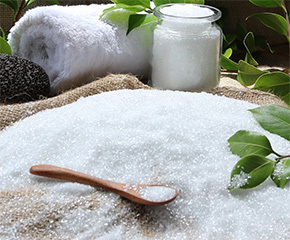 Other uses for Epsom salt include facial scrubs, hair volumising treatments, splinter removal, and more. 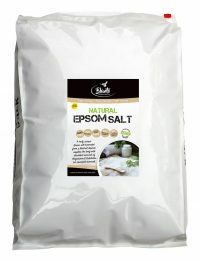 You can also use your Epsom salt in your garden for growing bigger, sweeter tomatoes and peppers, and on your citrus trees and roses.